Our San Luis Obispo landscapers are the premier landscaping company in Central Coast. With our certified of designers and contractors, we provide a broad range of services for homeowners and business owners across San Luis Obispo and the surrounding Central Coast area. 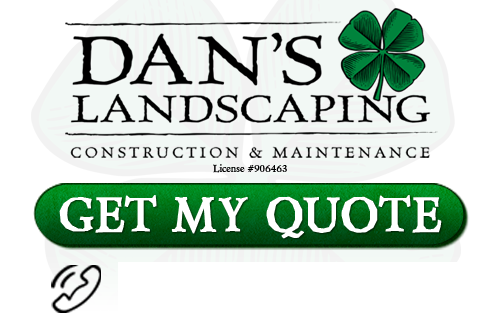 With Dan’s Landscaping Company you can get the results you’re looking for and turn that landscaping vision into a reality! We specialize in both commercial and residential hardscapes and have the experience and flexibility to tackle any project. Retaining walls are stone structures which are designed to contain landscape that uneven or sloping. In most the cases the landscape is sculptured to create a design and retaining walls are used as a decorative reinforcement to keep the landscape intact with no runoff. San Luis Obispo Retaining Wall Installation takes a great deal of strategic planning & design. It must be able to withstand ongoing soil pressure while at the same time become a matching featured attraction to your landscape and architecture. It is vital, therefore, to choose a San Luis Obispo Retaining Wall Installation company that you trust to build a durable retaining wall that will last you for years to come. The certified team at Dan’s Landscaping Company will help you build your next project from initial design to final finish. We work closely with each client and guide you through every step. Your satisfaction is our guarantee! Retaining and seat walls can be constructed from standard block and covered in stucco or veneer, brick or completely from all natural stone. The veneer you select for a block seat wall can also be built from natural stone or from an artificial material. You should choose materials for your seat wall that match your home’s design and your entire landscape. It is also important to invest in walls that will resist the sun and the weather in San Luis Obispo. One of the greatest features of retaining and seat walls is their flexibility. You don’t have to install a long, straight wall if it doesn’t fit with your yard. A semicircular or other shaped wall can be a very attractive feature, especially if you set it up around a pre-existing feature such as a fire pit. A semicircular arrangement also allows you to create a warmer environment where guests seated at the wall can face each other and socialize. 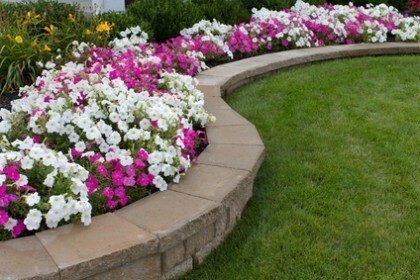 If you are looking for a professional Retaining & Seating Wall Company in San Luis Obispo or the surrounding California area then contact Dan’s Landscaping Company at 805-550-5488 or complete our online request form.